VOTE BEFORE NOON THURSDAY THE 30th! 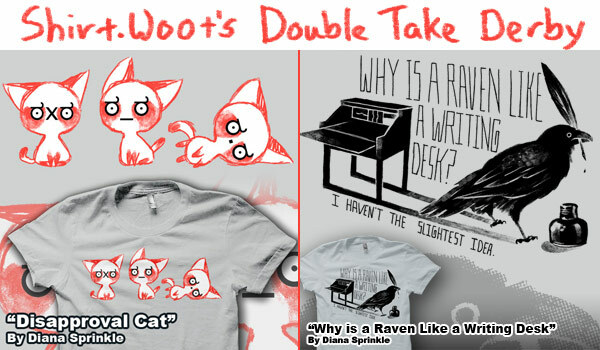 The Double Take is on and these two shirts of mine return for your votes again! Give me a vote if you can by following the links above. Filed under Art |	Comments Off on Shirt Woot Double Take!